Tawnie’s Tip of the Week: Did you know cranberries may improve gut health? Recent research presented at the 2015 Cranberry Health Research Conference showed that the polyphenols in cranberries may help protect against the negative effects of a high fat diet and promote gut health. 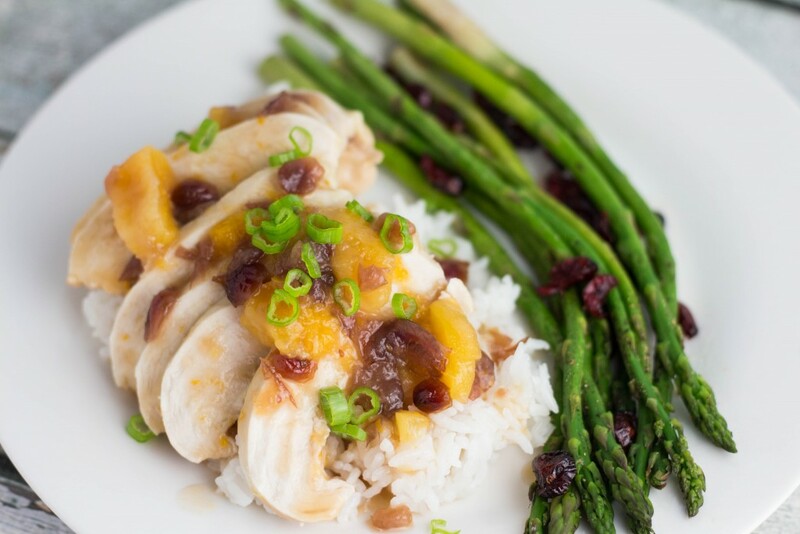 Enjoy this sweet & savory Cranberry Apricot Chicken dish for an easy weeknight meal! Blog Tip Thursday is back in action here at HLB! Do you have a post about blog tricks, awesome plugins, social media strategies or other tips you’d like to share with the Healthy Living Blogs community? Give your great content more visibility by submitting it to our Blog Tip series. We love to send more eyes to your site by leading readers to your posts about blogging, social media, and all things internet. Send us links to the post(s) you already have published on your site or pitch ideas for new content to staffer Emily (relishments at gmail.com) for a possible feature in a future BTT column.